Named a World Heritage Site for its stunning natural beauty, Ziro Valley in Arunachal Pradesh is headquarters to Lower Subansiri District. Apatani Plateau, as Ziro is popularly known, is situated at an altitude of 1500 meters above sea level. The region is rich in rice fields and it is surrounded by mountains that boast of pine trees in great numbers. The wide range of flora and fauna seen here is soul captivating. Cool summers and cooler winters are characteristics of Ziro. Every angle is above perfect and every view is spectacular; no wonder the best of cameras fail to do justice to the hues of Ziro. Here are the top places to visit in Ziro, which highlight the classic beauty of the place. Talley Valley Wildlife Sanctuary covers 337 sq. km. 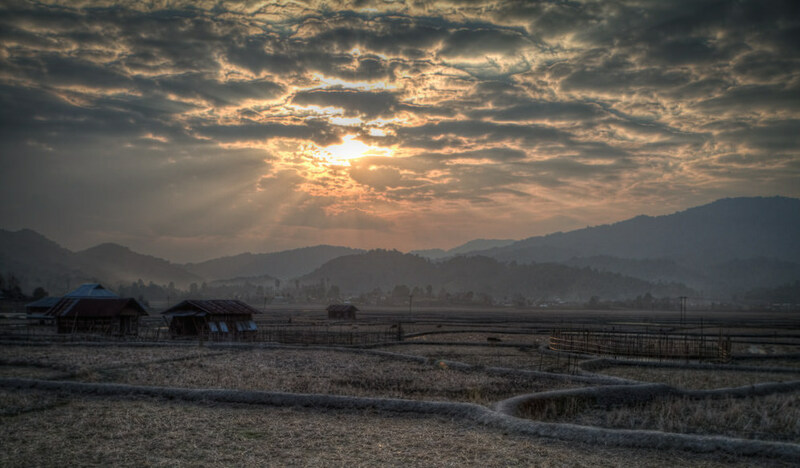 of land and it is one of the leading attractions of Ziro. The sanctuary is home to various endangered species. The beautiful forests that enjoy a much less human intervention have a wide range of flora and fauna. Silver fir trees, orchids, stunning ranges of bamboo and ferns are some of the trees found here. Talley Valley Wildlife Sanctuary is called Bio-diversity zone. Meghna Cave Temple is a ‘must visit’ tourist spot in Ziro. This ancient cave temple dates back to 5000 years and it was rediscovered in the year 1962. Located at an altitude of 300 feet, the temple offers stunning views of the surrounding area. Majestic mountains, dense forests presenting lush greenery to your eyes and beautiful river flowing below give you the most wonderful experience. You will be at a loss for words to describe the immense beauty of the place. Set your camera in motion so that you will be able to relive the memories on your return. The ridge Kile Pakho is situated 7 km away from old Ziro. The place would delight nature lovers for the scenic beauty it has to offer. Climb on the ridge and you could have Ziro plateau’s spectacular views on one side and snow clad Himalayan ranges on the other side. 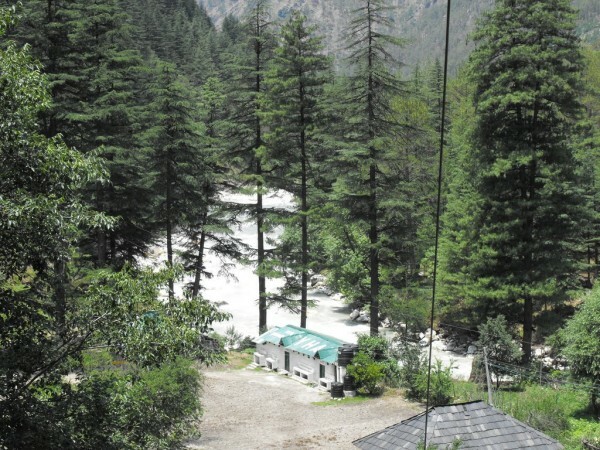 You would love the sight of blue pine trees for which Midey is popular. You will find the biggest and the tallest pine trees in the whole of Apatani Valley. If you love adventure, you are sure to love this place, as it is a great place for hiking and trekking. 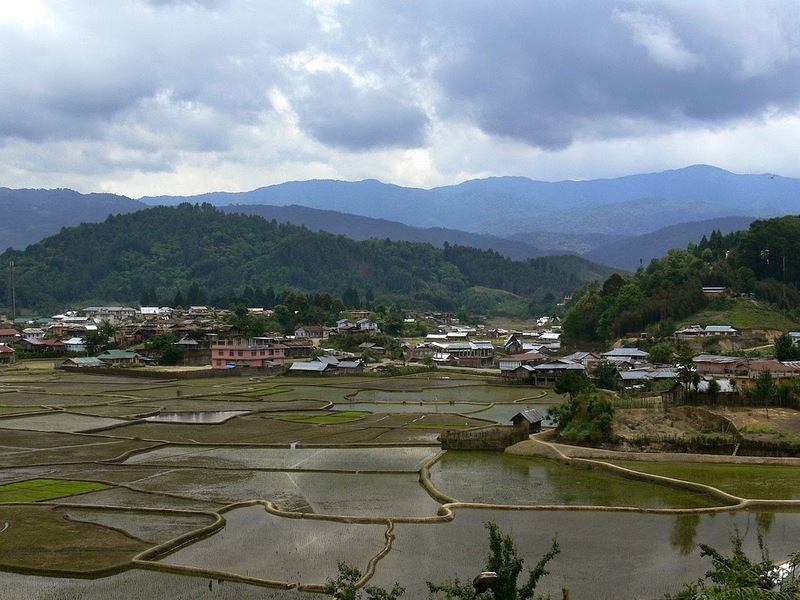 Ziro Puto is a hillock where independent India’s first administrative centre was established. The place is also known as Army Puto as army cantonment was established during 1960s. You could have spectacular views of Apatani plateau from the hillock. Dolo Mando is a hillock situated west of Ziro. It attracts tourists in great numbers as old Ziro and the town Hapoli views from the hilltop are spectacular. Trekking on the hill would be exciting if you are looking to give yourself some exercise. From its rich Celtic culture to the breathtaking beauty of its varied landscapes, Ireland is a travel destination that lives up to its nearly mythic reputation. The Emerald Isle really is that green, the sights are truly spectacular and the people are genuinely friendly. Despite its small size, bustling cities and sprawling suburbs, Ireland still boasts stretches of roads and trails where visitors can feel as if they have the island all to themselves. Those seeking a more sociable travel experience have only to walk into a neighborhood pub to feel right at home. 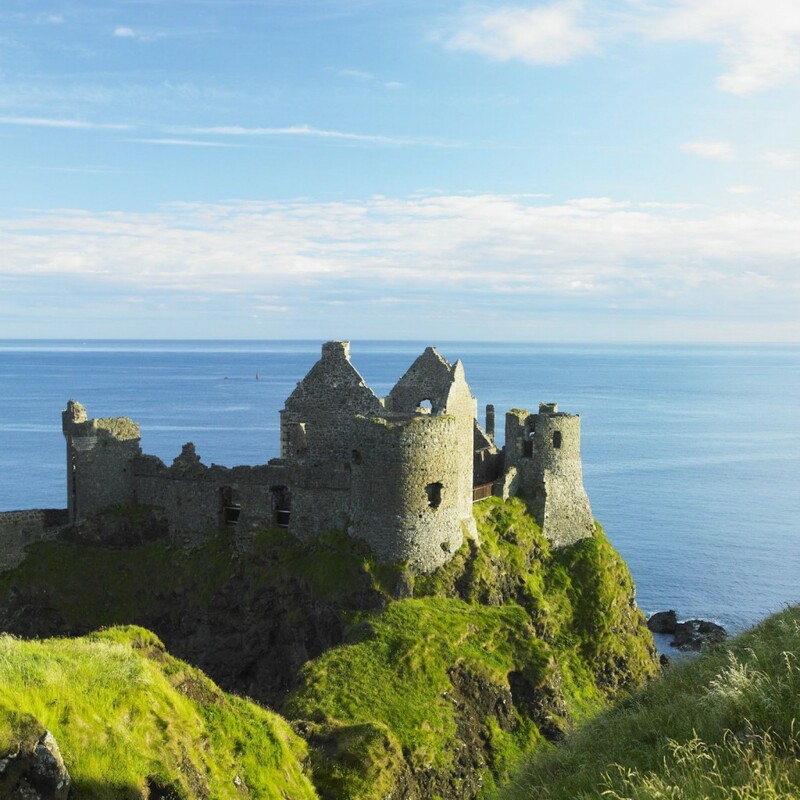 Whether spending the night in an ancient castle, cycling along a coastal headland or viewing Celtic artifacts at a world-class museum, Ireland casts a spell of enchantment on every visitor. Politically, Ireland is divided between the Republic of Ireland and Northern Ireland, a part of the UK. Our selection of the best places to visit in Ireland covers the entire island. West Ireland’s largest city, Galway is best known for its art galleries and shops, most of which are located along the winding lanes and cobblestone streets of the city’s charming medieval quarter. With several live music venues and a thriving pub scene, Galway is considered a major center for traditional Irish music as well. The harbor city is also known as one of the few places left in Ireland where the Irish language is still spoken on the streets. Full of fun, history and culture, Galway is an ideal destination for any visitor seeking a true Irish travel experience. Located off the west coast of Ireland at the mouth of Galway Bay, the Aran Islands of Inishmore, Inishmaan and Inisheer have attracted visitors for centuries. Isolated from the mainland, inhabitants on the islands have maintained a more traditional lifestyle than in other parts of Ireland, offering visitors a glimpse into the country’s rich past. With no more than 100 vehicles allowed on Inishmore, the largest of the three islands, horse-drawn buggies carry visitors by stone farm cottages to enjoy spectacular views from limestone cliff tops. Inishmore has a 2,000-year-old stone fortress perched atop a 90-meter (300-foot) cliff that’s well worth exploring too. 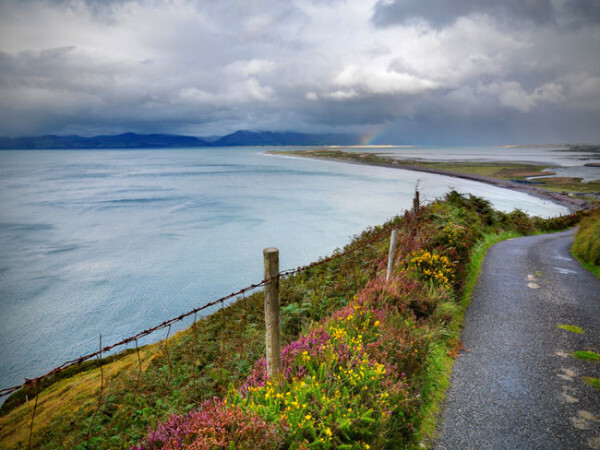 The Dingle Peninsula encompasses the westernmost tip of Ireland, offering visitors the appeal of a far-away destination with the convenience of a nearby town. The landscape is dotted with remnants of Bronze Age settlements, prehistoric stone markers and more than 500 monastic stone huts. The monks who dwelt in the so-called beehive huts, or clocháns, helped keep learning alive during the Dark Ages. Surfing and windsurfing are popular activities on the peninsula’s beaches. With fine restaurants, good accommodations and a lively pub scene, Dingle Town offers fun and relaxation at the end of the day. Just a few km to the south of Dublin lies Glendalough, a monastery founded in the 6th century by St. Kevin, a hermit monk who figures prominently in traditional Irish legends. Once a chief pilgrimage destination in Ireland, Glendalough continues to attract visitors from around the world. Situated near two lakes in a glen surrounded by forests, visitors are drawn by the area’s scenic beauty as well as its rich history. 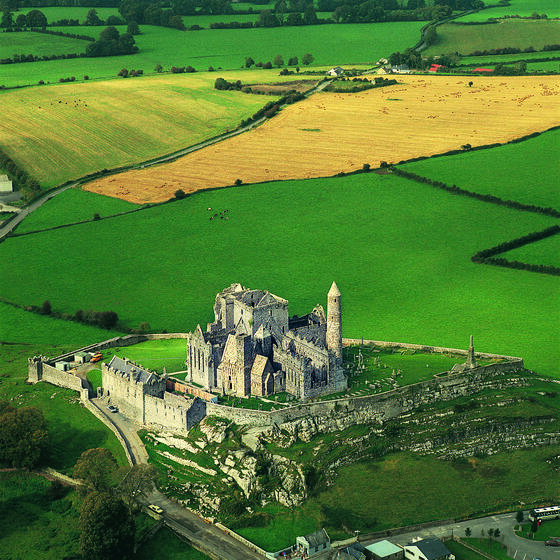 The largest structure in the monastery is an unfinished 9th-century cathedral, but it’s the Round Tower that many visitors find the most striking. Equipped with a pull-up ladder, the 30-meter (110-foot) tower served as a last-resort refuge during Viking raids. The capital of Ireland, Dublin is home more than a third of the nation’s population. Unlike other major European cities, there’s a laid-back atmosphere in Dublin that makes it feel less like a metropolis and more like a small town. While there are plenty of cultural attractions to delight the most avid sightseer, unplanned rambles through the city can be just as rewarding. Book of Kells housed at library at Trinity College is a must-see for lovers of art and literature. From historic cathedrals like Christ Church and St. Patrick’s to the Guinness Storehouse and the pubs in Temple Bar, Dublin is a city that invites exploration. Lonavala is located in the Pune district of the state of Maharashtra and is a popular hill station for the people of Mumbai and Pune. The hill town is placed at an elevation of 624 meters above sea level and is known for its relatively milder climate amidst the Western Ghats. The word Lonavala literally translates to ‘A Resting Place Carved with Stone’ and is widely popular during the rainy season and lush green hills of the Sahayadri range. Lonavala is also famous for its produce of an Indian hard candy made from groundnuts and jaggery known in the common tongue as Chikki. The region surrounding Lonavala once came under the ancient kingdom of the Yadava Dynasty who ruled over parts of present day Maharashtra, Karnataka and Madhya Pradesh. The land was later annexed by the Mughals during the medieval period and was later developed as hill station by Lord Elphinstone of the Bombay Presidency under the British Rule. Today, it is a popular destination for the people of Mumbai to escape the humid and tropical heat of the coastal areas. Located in the Western Ghats or the Sahayadri Mountains, Lonavala experiences a monsoon affected subtropical climate. The months between April and June see the warmest temperatures that go upto 35 degrees Celsius. The monsoon months between July and September see the maximum rainfalls and are visited by thousands of tourists due to the scenic locations. The winter months are mild and temperatures drop to a moderate 10- 11 degrees Celsius. Lonavala is mostly avoided during summers as the elevation fails to provide it with milder temperatures. Nevertheless, the climate is much pleasant during the summers as compared to the lower plains. The tourist season starts with the arrival of the monsoons during the month of July and provides some breathtaking views of the surrounding mountains and forests. The best time to visit however is between the months of October and January when the temperatures are the mildest with occasional showers that makes the visit even more enchanting. Being located in the hills of the Western Ghats, Lonavala is home to several natural attractions like waterfalls, lakes and viewpoints. 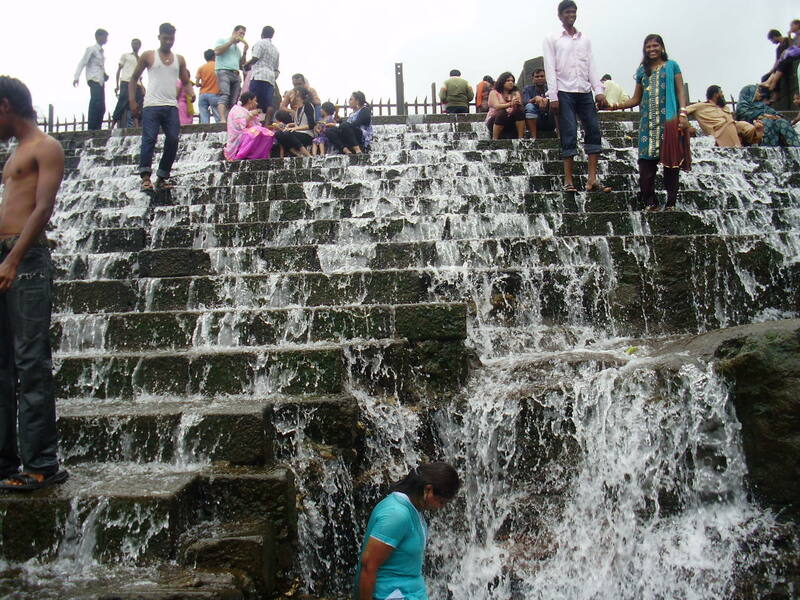 To experience the attractions in Lonavala it is often advisable to visit the town during or after the monsoon season as the lakes and waterfalls tend to dry up during the summers. 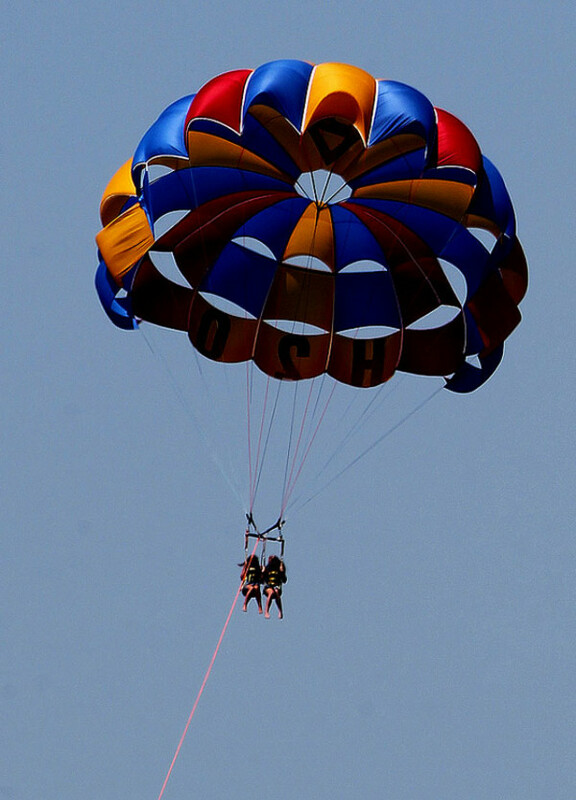 Trekking, Hiking and camping are also much sought after activities in Lonavala. 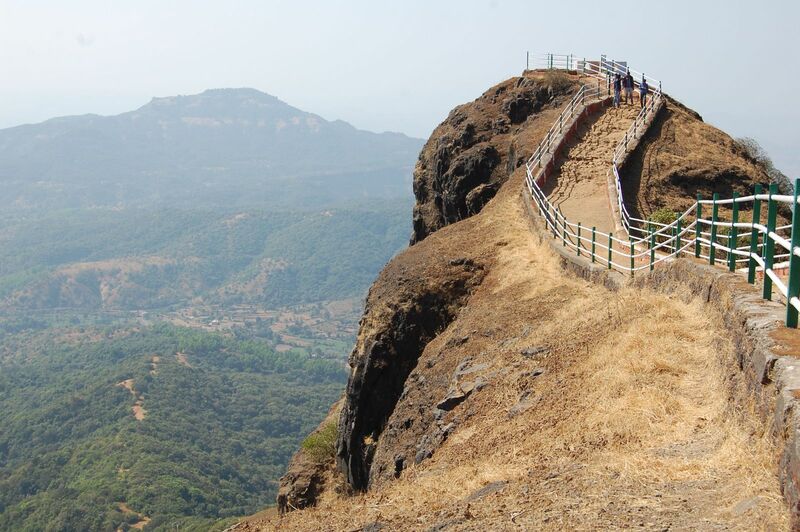 Tiger’s Leap, Rajmachi Point, Ryewood Park, Shivalinga, Lion’s Point, Karla caves, Lonavala Lake, Bushy Dam, Duke’s nose, Lohagad Fort and Valvan Dam are few of the various attractions in and around Lonavala. Being well connected via roads to nearby metropolis Mumbai and the town of Pune, Lonavala can be easily accesses via buses, taxis. One must remember that 2 wheelers and 3 wheelers are not allowed on the Mumbai-Pune expressway. Lonavala has its own railway station and can be reached via trains from Mumbai and Pune. The nearest airports are in the town of Pune and Mumbai with domestic and international flights. Tinsukia in Assam is one of the tourist destinations that provides scope for enjoyment, education and entertainment. Rich in nature to let you enjoy breathtaking landscapes, rich in culture to educate you on its awe-inspiring past and stunning locations to keep you entertained, you could not ask for more on your vacation. Here are the top places to visit in Tinsukia that give you an in depth view of the land and its culture. Spread across 650 square kilometer, Dibru-Saikhowa National Park ranks amongst Assam’s largest parks. It owns the credit of being one amongst nineteen biodiversity hotspots the world over. Dibru-Saikhowa National Park is 12 km away from Tinsukia. With Brahmaputra River and Lohit River to its north and Dibru River to its south, the park located at an altitude of 118 meter above sea level, sets your spirit soaring. The park has a wide range of wild species. Some of the animals found here include Royal Bengal tiger, jungle cat, leopard, sambar, Assamese Macaque, capped langur, Asian elephant, barking deer and Asiatic water buffalo. White winged wood duck and semi-wild horse are the main attractions in this park. Over 350 bird species are seen here and hence bird watchers love this place. The park is renowned for the varieties of fish found here. Situated 6 kms away from Tinsukia, Bherjan-Borjan-Padumoni Wildlife Sanctuary is one of the leading attractions in the city. Bherjan, Borajan and Padumoni are three separate forests and together they occupy an area of 7.22 square kilometer to form this sanctuary. Semi-evergreen forests and stunning tea estates in the sanctuary attract tourists from across the globe. Some of the wildlife you find here include leopard, giant flying squirrel, slow Loris, pig tailed macaque, Assamese macaque and so on. The place is haven to bird watchers, as there are 84 species of birds seen here. Some of the birds found here include woodpecker, magpie robin, bulbul, Indian pied hornbill and many more. Sadiya lies on Himalayan foothills and hence what more could be said to highlight its beauty? This small town is surrounded by rivers on three sides, which flow into the valley of the majestic Brahmaputra and has Arunachal Pradesh on one side. Sadiya is where the mighty Himalayan ranges meet the famous Brahmaputra River. The land has a rich culture too. It is mentioned in ancient Indian mythology however, it is referred to as Vidarbha kingdom. During Medieval times, Sadiya was mentioned in its present name. Sadiya was a center point for trading thanks to the various trade routes established during medieval period. Tibet, Myanmar and China are some of the countries to which trade routes were established from Sadiya. Digboi, which is famous for its tea plantations, has yet another star attraction. Digboi is Asia’s first oil town with an oil refinery being commissioned in the year 1901. It is also world’s oldest functioning oil refinery. The 18 hole golf course in Digboi is set in a scenic environment. Yet another first in this place is the oil museum, which is the first of its kind in India. Also check out: Top 5 Places To Visit in Digboi. Apart from Digboi, golfers could spot yet another heaven for them in Margherita, which has a wonderful golf course in the land. Surrounded by Burhi-Dehing River and Patkai ranges, Margherita is a scenic land with green tea plantations. It is called the Coal Queen of Assam. India’s fifth and Assam’s first plywood factory was established in Margherita in the year 1924. Till today, plywood products produced here are famous for their quality. 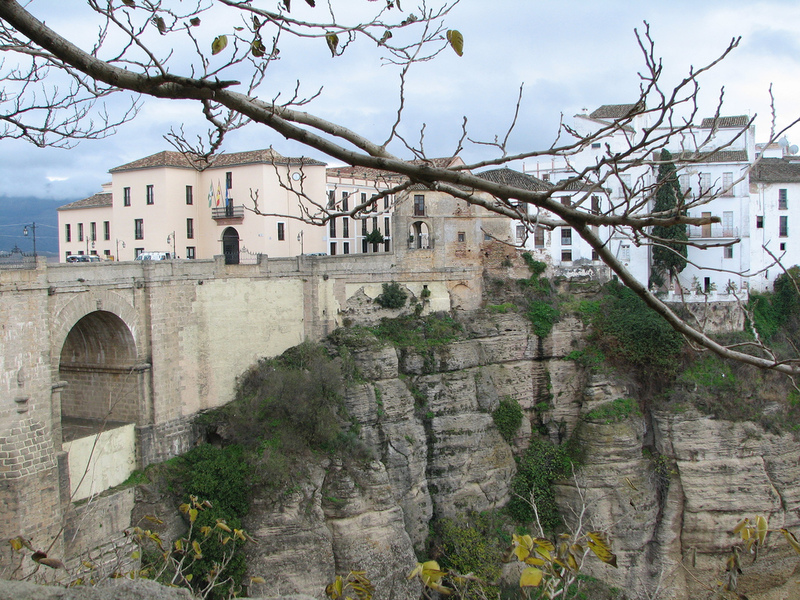 This small city is believed by many to be as quintessential Andalucía as anyone can find. Though larger cities like Cadiz and Seville will advertise this honor, Jerez is well known on several fronts without much lip service at all. It is the center of Spanish horse culture, and home of the invention of fortified sherry wine. Eleven European palaces and one looming Moorish palace and fortress are available for tours. During one of the many festivals here, there is ample opportunity to see traditional flamenco dance in the city where it was invented. The Doñana National Park is located in the fertile river delta where the Guadalquivir meets the Mediterranean Sea. It is an ecological paradise of sand dunes, marshes and plains that serves as a refuge for many species of wildlife. Birders will be treated to views of thousands of different African migratory species. More local endangered species can also be seen by lucky people, like the Iberian lynx and the Spanish Imperial Eagle. As it was once a home for nobility, the visitors centers and marine museum are all housed in repurposed castles and manors, and are worth seeing as well. Once a small white village of fishermen, Marbella is now one of the most cosmopolitan beach resorts on the Costa del Sol. The beaches with its fine sand and the Mediterranean with its clean blue water are the main attractions here, although there are numerous historic attractions well worth exploring too. An ancient walled city boasts virtually the same footprint as it did during the 16th century. When not sunning on Marbella’s palm-tree-lined beaches, visitors can walk the Golden Mile to view some of the most luxurious homes and resorts in Europe. The area around the yacht-filled marina Puerto Banus boasts the city’s best boutiques, restaurants and bars. This is believed to be the oldest continually inhabited city in all of Western Europe, and was founded over three millennia ago by Phoenician sailors. A visit here means seeing long coastlines of public beaches, waves on crashing seawalls, and examples of thousands of years of architecture. The must-see time to visit is during Carnival, which is the third-biggest celebration of this kind in the world. During the rest of the year, guests flock here for seafood, surfing and flamenco dancing.